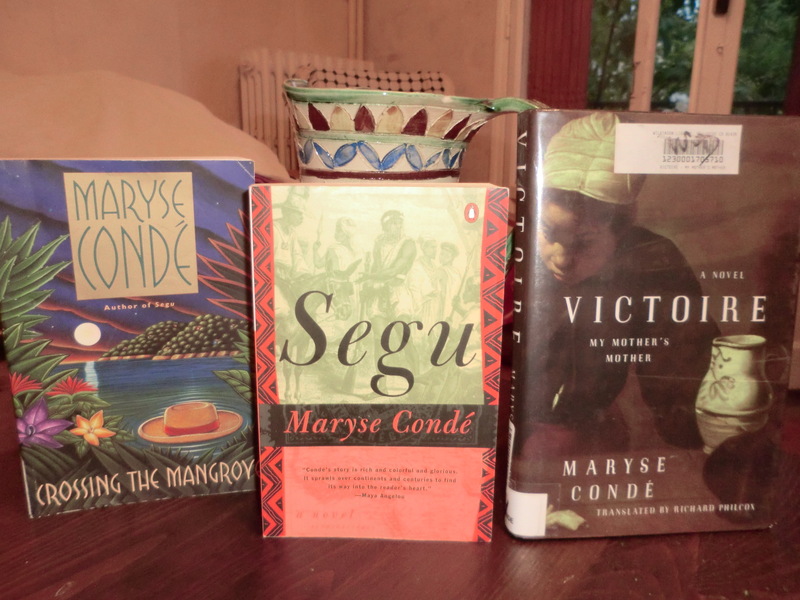 I came across Maryse Condé recently via the Man Booker International Prize 2015 list of 10 nominated authors. She is third from the left in the picture below. Not a book prize as such, it is an award conferred on an author who has a significant body of published work, regardless of the original language it was written in, though some of it must have been translated into English. It is from such long lists the gems are found I say, and having read about all 10 thanks to this excellent Interview: The Finalists Speak in The Guardian, I spotted my potential winner immediately. A winner in the sense that I intend to read a few of their books. The Indian writer Amitav Ghosh was the only author I’d read on this list. One writer jumped out at me straight away and I pursued her works with little consideration for the pending award result. Maryse Condé didn’t win the prize, the Hungarian writer László Krasznahorkai did, a writer whose books intellectuals rave about, but who I’m not sure I’m ready for yet. 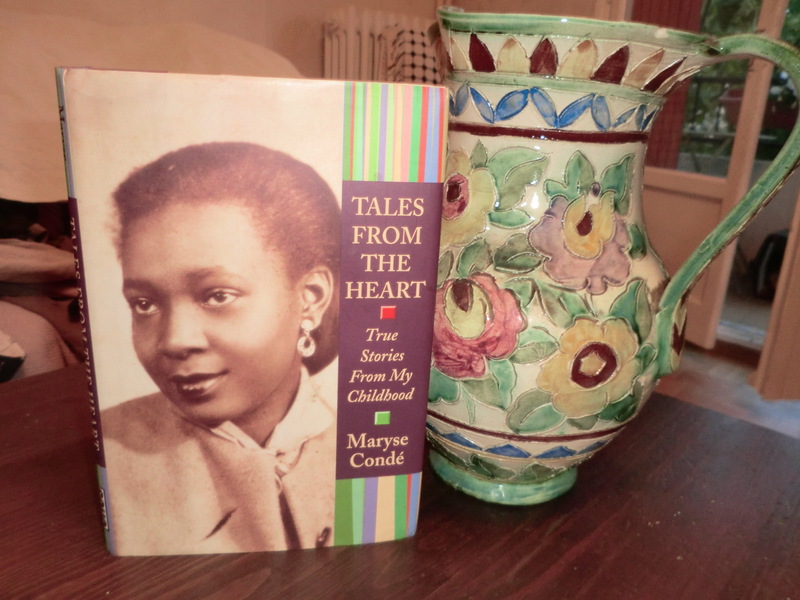 So I took Maryse Condé’s advice and started by reading this slim volume of essays of her childhood in Guadeloupe, Tales From the Heart, True Stories From My Childhood. She takes us right back to the beginning, to the day of her birth. Being the youngest of 8 children, the family possessed an extended collective memory and she was fortunate to have heard the story of her birth from other perspectives. Her appearance was both a source of pride and shame for her then 43-year-old mother and 63-year-old father, proud that her body remained robust enough to support the creation of a child and shame that it publicly displayed evidence of their continued indulgence in carnal pleasures. She recounts an anecdote of a waiter in a café complimenting the family on their excellent French pronunciation, to which her parents felt indignant, considering themselves just as French as a Parisian waiter, even more so because of their higher education, manners and regular travel. In their neighbourhood all the mothers in their circle held a profession and with it contempt for the manual work they believed had been the undoing of their own mothers. They employed a servant who, though she raised 6 children of her own would begin work at 5am to take care of the needs of the family. We meet her best friend Yvelise, two girls who did everything together, their friendship almost destroyed by the unfortunate intervention of one of her teachers, causing a temporary rupture. Maryse’s mother Jeanne, knew the life she didn’t wish to lead, nor her children either, she had succeeded in breaking the cycle endured by her mother and grandmother and a good education was key (and perhaps being married to a successful and much older husband). Jeanne was a school teacher, revered and feared in equal measure by those around her. Her eldest son Sandrino and her youngest child Maryse the only two children who weren’t afraid to stand up to her, the others too terrified to challenge her. On her birthday, her favourite pupils recited compliments, gave her roses, her husband bought her jewellery and the day would culminate with a family play, a short piece of theatre written themselves, in her honour. 10-year-old Maryse asked if she could read one of her compositions for her mother’s birthday. If a book of essays can reach a crescendo, this is the moment when we reach it. The moment when Maryse learns that not all lessons come from one’s parents and school teachers, some come from life itself and often when we least expect it. In the chapter School Days , she is at school (lycée) in Paris when her French teacher asks her to present to the class a book from her island. It is a watershed moment. Sandrino introduces her to to a treasure. 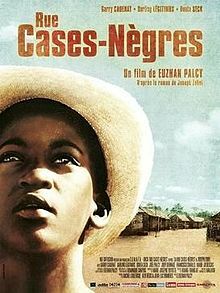 La Rue Case-Negres (Black Shack Alley) by Joseph Zobel and his hero José Hassan. It was made into an award-winning film titled Sugar Cane Alley. It was her first introduction to a world no one up until that moment had ever mentioned; a world that highlighted slavery, the slave trade, colonial oppression, the exploitation of man by man and colour prejudice. These glimpses into the more significant and memorable aspects of childhood that shaped the author Maryse Condé are insightful, engaging and honest. Just as her consciousness is awakened, the vignettes finish and leave the reader desperate to know more. I had intended to read this volume over time, but once I started reading I couldn’t stop, it is almost like reading a coming-of-age novella and at its conclusion, the writers fiction will begin. For Condé’s first novel Hérémakhonon is about a character raised in Guadeloupe, educated in Paris, who then travels to Africa in search of a recognisable past, just as she did. Tales From The Heart is an excellent read and an intriguing introduction to the writer and her influences and will certainly make you want to read more of her work. I am very happy I have these three novels on the shelf to follow-up with only I am missing that debut novel which I really want to read now too! Very highly recommended. 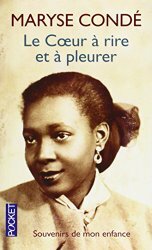 This entry was posted in Biography, Caribbean Literature, French Literature, Memoir, Non-Fiction, Translation and tagged Biography, book review, books, childhood, culture, French Translation, Guadeloupe, life, Maryse Condé, memoir, post colonial literature, Tales From The Heart. Bookmark the permalink. Happy to have introduced her, I’m pleased to have discovered her too and look forward to reading some of her novels. We are fortunate so many have already been translated into English. Sounds like an excellent recommendation – will look forward to reading this (preferably in the original if I can get it). So glad you found a copy, I am sure they are going to get snapped up quickly. I hope you enjoy it, I am sure you will, she is an interesting character in herself. Checked this out on amazon, now ordered. Do you get commission :-)? Lovely review. This year’s International Booker longlist is certainly an embarrassment of riches. I’m just finishing Marlene van Niekerk’s magnificent epic Agaat, and have at least one title lined up from each nominee. For Condé the book I have in my wishlist is The Story of the Cannibal Woman. It also sounds very good. Yes the longlist is surely just the tip of an incredibly large iceberg of potentially great, relatively undiscovered in the English reading world, works. I’m glad they have introduced it and give it the time it deserves. I’ll have to look up that novel you’re intending to read now, such a great collection of work. I look forward to reading about what you thought of Marlene van Niekerk’s Agaat too, thanks for your comment and sharing your epxerience of the list too. Like you I first discovered Maryse through the International MB Prize and have her on my list of authors to explore – I really like the idea of reading Tales from the Heart first to get to know her then move on to her novels. Great review Claire. That’s great to know Poppy, I think these short essays are an excellent introduction to her writing and character, I can’t wait to read more. I look forward to that Judy, happy to hear you are enjoying all the book recommendations! Maryse Conde was the one author who jumped out at me when I read the Guardian piece as well. I’m glad to hear her novella worked so well for you. My curiosity has certainly increased after reading your post. I hope you find something of hers to read too, I love discovering authors like this, with a rich backlist, just such a pity not to have come across her earlier. My copy of “Coeur à rire …” arrived on my birthday – a lovely present to myself. Looking forward to reading it. Enjoy! Such a beautiful collection. Oh my goodness. I feel like I have discovered a new favorite without having read any of her books yet. Thank you for this post, for introducing me to her writings and I am going to get a copy of Tales From The Heart to start with. Thank you so much for your kind words, you know, when I get a response like this, it’s almost like I haven’t read the book and it’s an excuse to go back and read my review and when I read it, I think, really, did I write all that. It really reminds me of the reason I write reviews, because there is so much joy and so many beautiful passages and insights we pick up when we read, which years later when we recommend a book to someone, we just know it’s great, but are unable to articulate in the same manner as we could have just after reading. So thank you for giving me the experience of going back and remembering that wonderful journey of reading Maryse Condé’s works. I was just speaking about her to a friend yesterday and I couldn’t find the essays but I gave her Victoire to read, a book that Maryse Condé signed, as she came here to Aix en Provence about a year ago. She is almost blind now and her grandson had to guide her hand to where she should sign, but she was brilliant when speaking, so in command of her perspective. It was truly an honour to be in the audience. After years of living in Paris, she has now returned to Guadeloupe, but thankfully I still have a number of her books to read, I know I’m going to read them all.